Over the years I have worked with so many people and have successfully changed their lifestyle for good however not all have changed and it pains me to find the full answer to help but change must come from the person who truly wants it. Below are the 5 stages of change and these assist with anyones goals. I now incorporate motivational interviewing skills in to my consultations which allow me to find out where the client is so we can work on each stage. Have usually made a recent attempt to change using behaviour in the last year. Sees the ‘cons’ of continuing as outweighing the ‘pros’ and they are less ambivalent about taking the next step. They are usually taking some small steps towards changing behaviour. They believe that change is necessary and that the time for change is imminent. Equally, some people at this stage decide not to do anything about their behaviour. Able to successfully avoid any temptations to return to using behaviour. Have learned to anticipate and handle temptations to use and are able to employ new ways of coping. Can have a temporary slip, but don’t tend to see this as failure. Question – Choose a behaviour from your own life that you have changed or attempted to change (related to smoking, exercise, diet, caffeine intake, career direction, etc.) Note down the process you went through using the Stages-of-Change model and record relapses and slip-ups. Question – What strategies did you use in making that change? For example, did you set yourself short-term and longer-term goals? If you seriously want change then enter this cycle and stick with it. If you relapse we can work on that but you must want change. to help individuals resolve ambivalence around the issue of behaviour change and supports them in making positive choices in their lives. Let me help you make positive changes in your life once and for all. 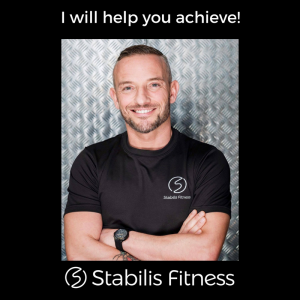 Next > Stabilis Fitness – Diets myths busted!